Balcony city apartment can perform many functions. Most people use it simply as a warehouse. However, the real owner can turn the loggia into a cozy continuation of the apartment. This useful space can be a study, a greenhouse or just a comfortable seating area with a beautiful view. If the idea is already ripe in your head, it's time to move on to its implementation. First you need to take care of the most important - floor insulation. After all, warm floor, it is a pledge that to be there will be nice and comfortable. 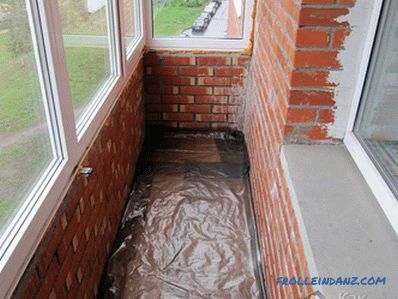 In the article we will look at how to warm the floor on the balcony with your own hands, we will give detailed instructions, as well as photo and video materials. So where to start? Perhaps, with a choice of an optimum heater. 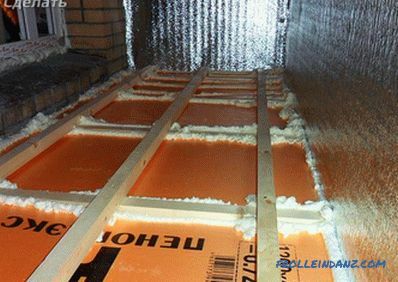 Insulation by laying a thermal insulation coating. 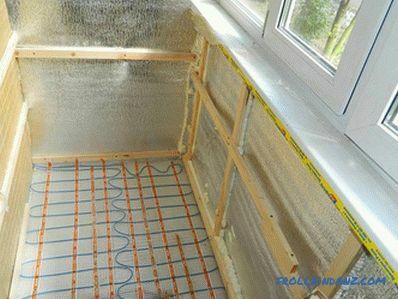 Installation of an active heating system "warm floor". So let's consider both options in more detail. 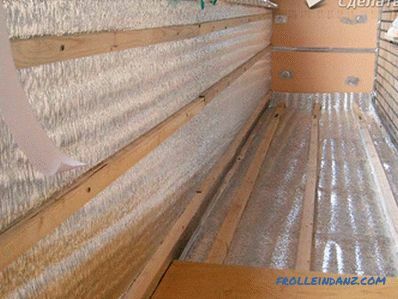 There are many types of insulation - flexible , rigid, sheet, rolled, etc. However, the principle of operation is the same for them - this is to ensure a very low thermal conductivity. This is done mainly using materials with a high content of air, which provides thermal insulation. The most famous thermal insulation material is foam. It has been used for a very long time and has a good reputation. It is not only cheap, but also very effective. Polyfoam is produced in the form of sheets of various sizes. Thickness is very different, from 2 to 10 centimeters. Warming is simple, the material is placed between the wooden lags of the floor. Then any finishing covering is laid on top. Minvat is also known to everyone and is actively used as a heater for construction and installation works. The basis of this material is a mineral fibrous substance. The advantages of this material are low cost, ease of use and excellent efficiency. Mineral wool is available in rolls and sheets of various thicknesses. Industrial mineral wool contains microscopic glass fragments, which in itself is not only unpleasant, but also harmful. However, mineral wool, sold in modern building stores, is devoid of this significant drawback and is completely harmless to home use. 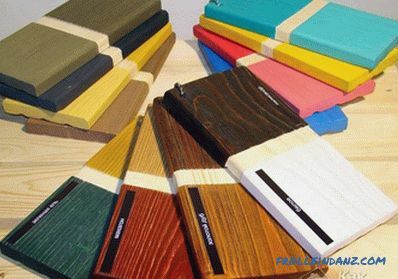 Polyurethane foam is the most modern material of the above. It has the best insulating properties, practically does not absorb water, is convenient in installation. Sold in rolls of various sizes. The thickness of the insulation varies from 0.5 to 4 cm. Additional thermal insulation properties give the insulation a special foil applied on one side with glue. First what is needed is to thoroughly clean the surface from particles of the old finish and all kinds of rubbish. 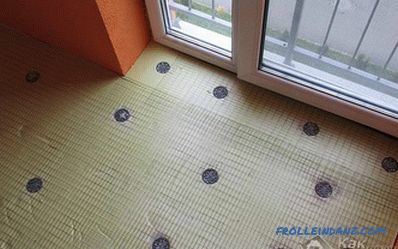 Then you need to waterproof the floor with a special film or penofola. After this, we carefully close up all sorts of leaks and cracks. Place the chipboard on top and fix their screws. Water heating. 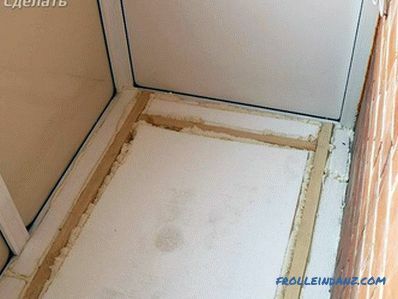 The construction with the water supply is much more complicated, besides, in the apartment building this option cannot be done - connecting the heated floor to the central water supply system is prohibited. Floor surface preparation. Of course, if the floor is severely damaged, significant restoration work will be required, if everything is in order, then before installing the heated floor, clean the floor well enough or walk around with a vacuum cleaner. 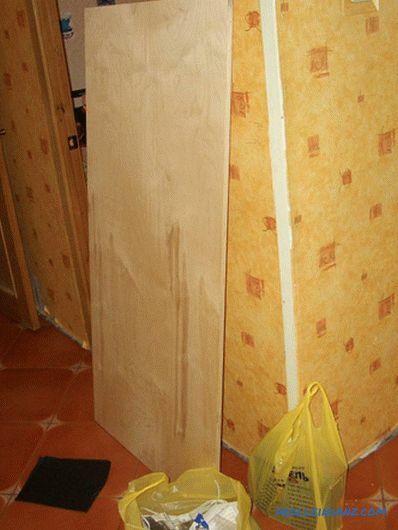 Use special glue to attach the insulation boards to the floor. You can additionally use umbrellas. Then put a metal grid for laying a warm floor. 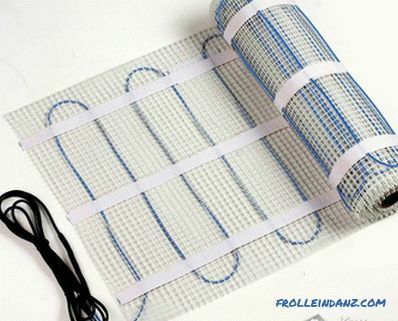 Cables for underfloor heating are fixed with mounting tape. Mounting tape must be laid on the grid, attach the screws. When fastening the cable, observe a pitch of 100 mm. Then connect the temperature sensor and thermostat. Then, from above, this whole structure is poured with a concrete screed with a thickness of from 3 to 5 cm. 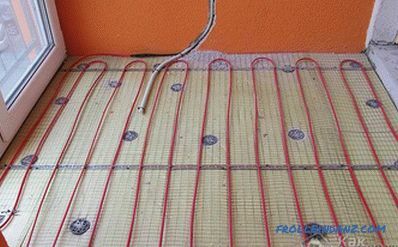 Photo: installation principle of "warm floor"
Turning on the floor heating is possible only after the solution has completely cured . The freezing time can be specified in the manufacturer's instructions. Be sure to read it in order to have a complete understanding of how to act properly. Floor covering should be selected taking into account the use of a heated floor. This also applies to adhesives and floor tiles. 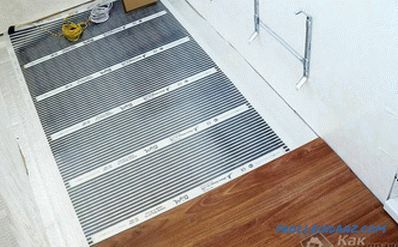 Another option for a heated floor on the balcony can be the so-called thin floors ( special heating mats). They are produced in the form of thin mats with a base, which greatly simplifies installation. 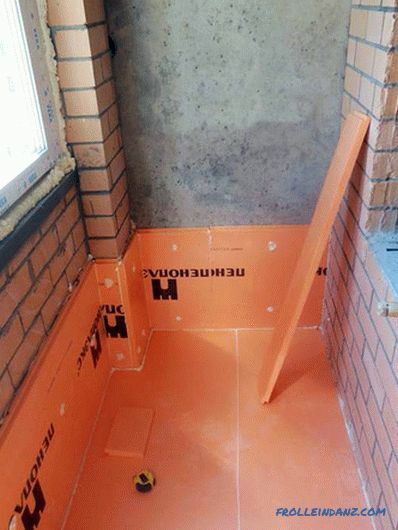 The use of an infrared heating system does not require pouring a screed, which, firstly, saves time and money, and secondly, significantly reduces the load on balcony ceilings. After glazing the balcony, you can proceed to warming the floor. One of the types of insulation used for these purposes is penoplex. It is a foamed extruded polystyrene, which is produced by extrusion of general purpose polystyrene. The first step is to remove the old dilapidated floor. 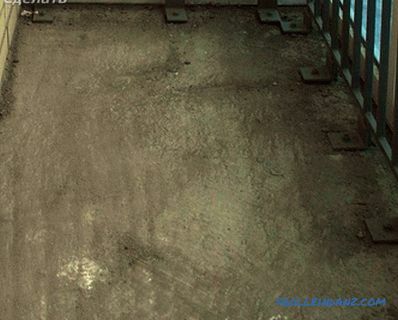 If necessary, repair the concrete slab, repair all chips and cracks. Align the slab with a concrete screed. After the concrete dries (it will take about three weeks), the floor should be waterproofed. Roofing material, bituminous or steklomast can serve as a waterproofing layer. Whatever material you choose, you need to cut cuts to the size of the length of the balcony and + overlap on the wall, equal to 5 cm. The cuts of waterproofing should be laid with an overlap of 10 cm on the red-hot bitumen mastic. It is important to conduct a thorough sealing of the seams. This is done with bitumen mastic. You can heat up the seams with a blowtorch / gas burner. If you have to to warm the floor with wood, then wooden dry logs should be laid along the balcony / loggia, pre-treated with an antiseptic with a step of 500 mm. The thickness of the lag should be chosen so that the floor on the loggia is ultimately at the same level as the floor in the apartment. As a rule, bars of 50 * 50 and 70 * 50 mm are used. Lags are fixed on the mounting foam, and the horizontal positioning of the laying can be checked by a cylindrical level. When installing the insulation of the penoplex, you can not use the mounting foam, the content of which is toluene. This is due to the fact that this substance dissolves penoplex. It is worth noting that toluene is contained in foams for winter and universal use. Therefore, in our case, it is best to use foam for summer use. There should be a small gap between the logs and the walls of the loggia, about 2-3 cm. In this space, you need to lay the plates of the foam plaster, after cutting out it according to the size. The thickness of the insulating layer from the future functionality of the loggia and the temperature zone. Most often for these purposes, use foam plate thickness of 30-50 mm. Interestingly, the plates of the penoplex are interconnected by the “thorn-groove” method, which ensures a high density of the joint. 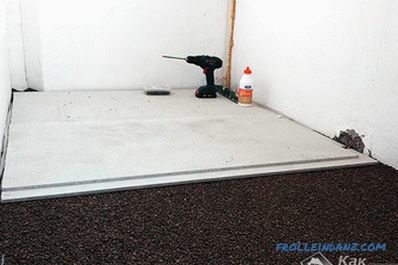 Insulation of the insulation to the concrete is performed with specially designed self-tapping screws with a wide plastic hat. This is important because the use of metal screws in this case is unacceptable. Next, you need to conduct vapor barrier penopleks. For this, penofol with a thickness of 10 mm will fit perfectly. It will, among other things, play the role of additional insulation. It is necessary to lay it end-to-end, sizing aluminum seams with adhesive tape. Then you can lay the wooden floor logs. 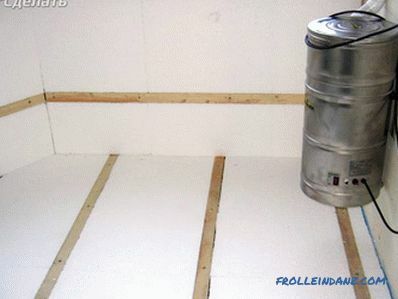 It is recommended to use as a subfloor. Remember, however, that an air cushion of 10 mm should remain between the wooden floor and the vapor barrier. At this stage you can begin to finish the walls and ceiling. After completing these works, the floor covering should be laid on the floor. This may be linoleum, laminate or carpet. Then install the plinth. The balcony slab has a slope towards the street.This is to ensure that no melt and rainwater accumulate on it. Because of this, before carrying out the insulation, it is necessary to level the slab with a concrete screed. When using expanded clay as a heater, the same material can be used as a leveling layer. 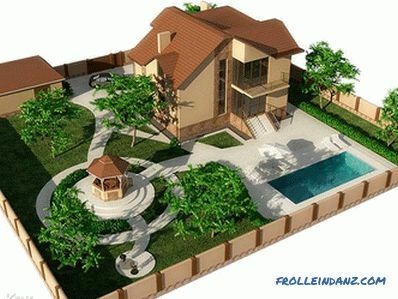 If the fence is not solid, then you will need to make a formwork at a height of about 10 cm. Along it, you need to install a beacon profile that determines the level of the floor. Typically, the width of the balconies does not exceed 1 m, if this is the case in your case, then fill the clay with one continuous layer. In this situation, laying of cross beacons makes no sense. Before filling the concrete floor with expanded clay, put plastic film on the subfloor. Thus, moisture insulation will be provided. You can smooth the insulation using your hands, a wide trowel, or an aluminum rule. It is important to periodically tamp the material. After laying, tamping and leveling the claydite, you can proceed to laying the leveling layer of the base of the floor. 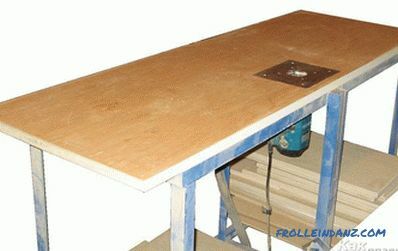 Most often it uses concrete, less wood floor and gypsum-fiber boards. Although the easiest way to lay GVL (gypsum fiber sheets). The slab is simply cut to the size of the floor and secured with screws at intervals of 10-15 cm around the perimeter of the floor. This floor fits into 2 layers. Moreover, the second layer of GVL is glued, and then screwed to the first with screws. After that you can start the finishing work. Parquet, linoleum, laminate or tile can be used as a finishing layer. As for the parquet flooring, in the absence of experience, it will be difficult to achieve a positive result, but even an apprentice will be able to lay laminate or linoleum. Another option for producing a durable base after laying insulation is pouring a concrete screed. In this case, everything is done in the same way as when laying the GVL. The only condition is that instead of GVL, a screed of a layer not less than 5 cm thick is poured. 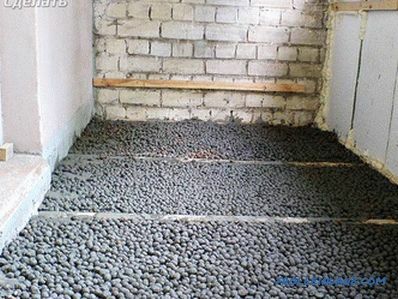 You can make a normal cement-sand mortar in a ratio of 1: 3 or purchase a ready-made mixture of marking CM-10 - SM-12. 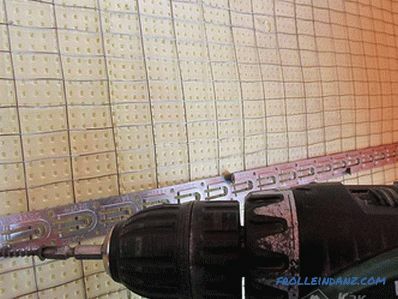 Whatever it was, it is worth considering that the screed will dry for about a week, or even more, and only after that you can begin to install parquet, tile or other finishing flooring. On top of the expanded clay, you can perform a chipboard / OSB flooring. The thickness of such plates should be from 10 mm. Otherwise, it is likely that the floor during the operation will bend. To increase the stiffness of the base, before filling the claydite, you can lay wooden bars across the floor, adjusting their height with a strip of timber. Carpet, linoleum, marmoleum can be laid on top of such a rough flooring. 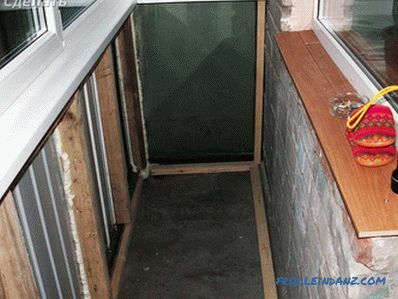 The cheapest and easiest way loggia insulation - foam. Another advantage of the material is ease of installation. Polyfoam, as well as penoplex, is foamed polystyrene. The only difference between the material is different production. In the case of foam plastic, polystyrene granules are sintered under the influence of steam. Over time, the bond between the granules becomes weaker and weaker. Because of this, it is not as resistant to water and heat as penoplex. 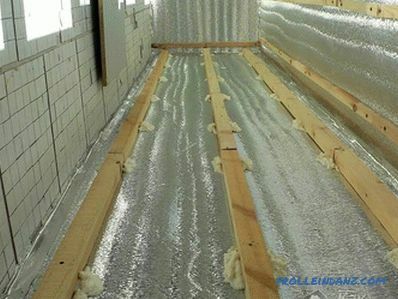 The strength of the foam is sufficient for floor insulation. 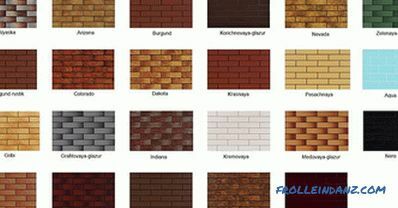 The fire resistance of the foam belongs to the class GZ, because it does not pass the treatment with flame retardants. And as a result, the material burns well. The sound insulation properties and low thermal conductivity of the foam and foam is almost the same. At the same time, foam is cheaper than foam. To protect against moisture on the concrete slab to lay the plastic wrap, securing it with duct tape. Then a frame is made similar to the one that is made when the floor is being insulated with penoplex. The foam is placed between the lags in the tension, which means that the width of the cuts of the foam should be identical to the distance between the lags. Insulation is cut with a regular / stationery knife. 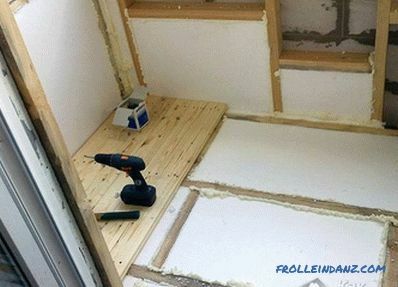 The foam should be glued to the floor. 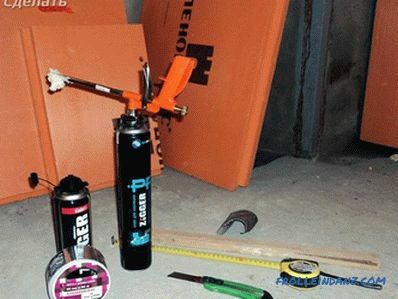 The recommended glue is Teplokley / liquid nails. Foam should be glued to each other with maximum density. 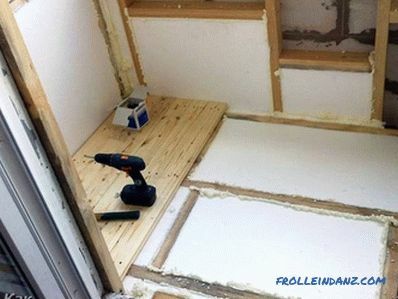 Make sure that the joints of the foam does not coincide, if there is a need to install several layers. The joints and seams need to be sealed. For these purposes, fit the usual sealant or foam. Chipboard can serve as a rough flooring. 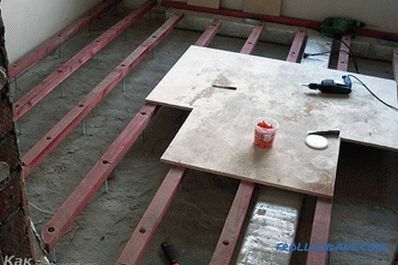 If ceramic tile will be laid as a topcoat, it is better to make the subfloor from thin screeds or fiberboard. Otherwise, the foam will crack or bend. How to bleed air from a battery in an apartment.